For 060, 420, 430,710,921,960 Stainless steel ..
Vostok Watch Russian Amphibian Classic 120656 can be purchased at official retailer of Vostok Watch-Makers Inc..
July 1, in Chistopol Glavpribor watch factory NK MV 835, created on the basis of the Second Moscow watch factory and DOS factory, has earned in full force, manufacturing producs for needs of front. Release of a K-43 man's watch and instrument production are begun. 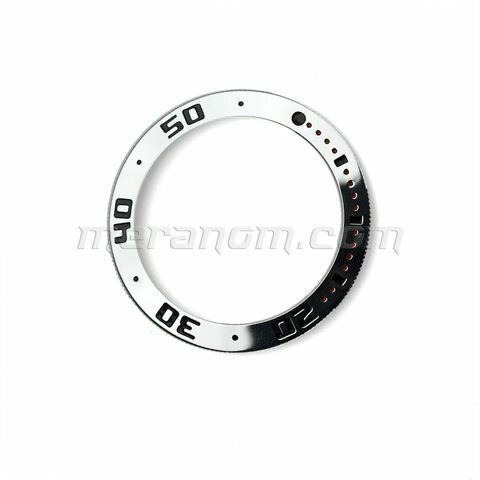 The machine-tool construction for watch manufacture is organized. Serial release of a K-26 "Pobeda" man's watch, wall-mounted ship clocks with a luminous dial, clocks for a/m "ZiM", "Volga", "Pobeda", wall-mounted and street industrial clocks are begun. On July, 1950 the factory has started construction of own industrial buildings. The factory began release of "Kama" shock-proof watches in water-proof case, clock devices for various branches of a national economy. Release of precision watches: K-28 "East", "Mir", "Volna", "Saturn", "Cosmos" with lateral and central second hands, a lens and shock-proof movement is mastered. Export of Chisopol watches has increased in 7 times. Precision watch "Vostok" are awarded with the big gold medal of the Leipzig international fair. "Komandirskie" watches are developed and started in manufacture and Chistopol watch factory became the official supplier of these watches to the Ministry of Defence of the USSR. 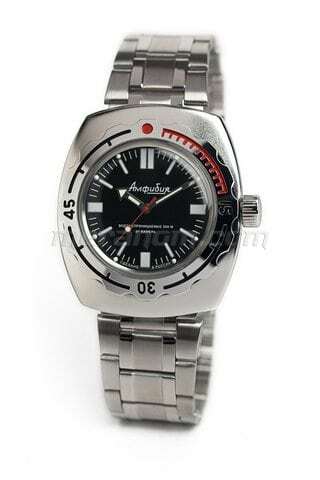 Release of "Amphibian" watches is mastered. Since 1969 all watch of a factory are manufactired under "Vostok" trade mark, and the factory began to refer "Chistopol watch factory "Vostok". Release of a new 24 calibres man's watch with a numerical calendar, a double calendar, with automatic movement are begun. Watches are exported to 54 countries of the world. Cosmonaut G.Grechko during visit on a factory thanks watch-makers for release of qualitative products and gives to chistopol watch makers the "Vostok" watch which has visited the space. This year the factory issues the plenty of a watch - 4,5 million pieces. All production only the first and supreme categories of quality. Release of water-meters, tahografov accustoms, release of manometers are begun. The factory passes in the Ministry of the radioindustry. Chistopol faculty “Vostok” of Kazan Aircraft University is opened. The factory passes to self-financing, in 1990 - on rent. 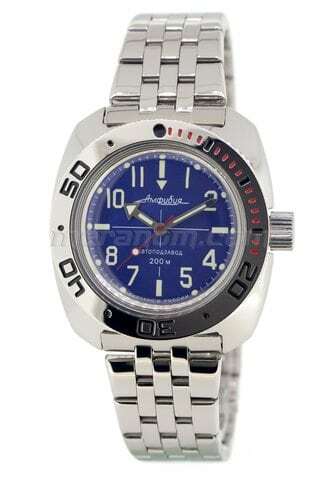 The assortment of watches is annually updated on 70%, release of watches with custom-made symbolics is mastered. Export of wathces increases. The factory passes under jurisdiction of Republic Tatarstan and becomes Open Joint Stock company. Small enterprises on manufacture of completing for watches are created. 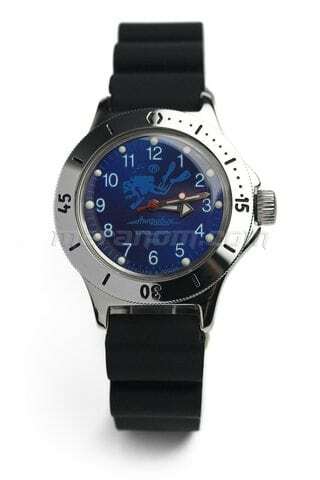 The big parties of watches are exported to Italy, USA, Switzerland. 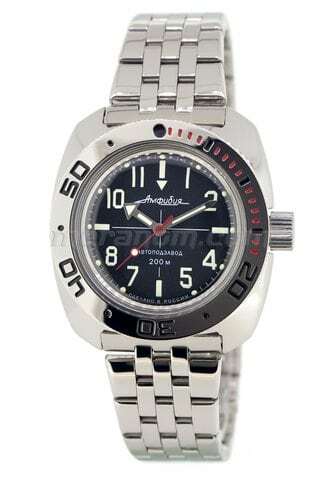 In USA the greatest popularity was received with "Desert storm" watch. Vostok Watch Makers Inc. is the leader of the domestic watch and clock industry on volumes of release and sales of a man's watch. 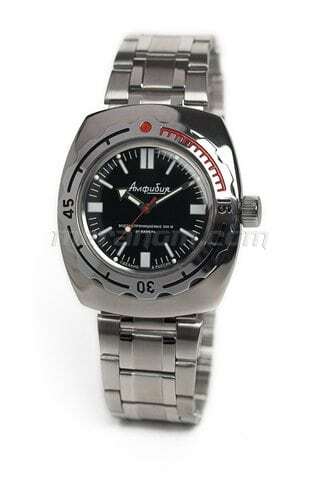 Release of the female watches, expensive, prestigious man's watch, a quartz alarm clock are begun. 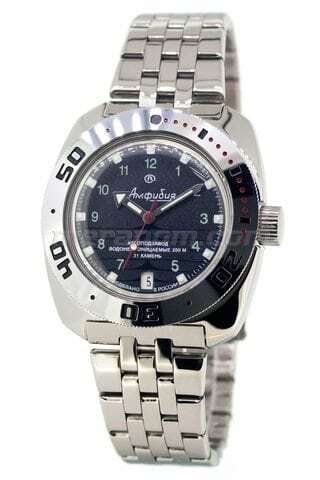 The factory became the owner of "The Russian National Olympus” the prestigious premium in a nomination "To Technology. A science" and the winner of "The Russian organization of high social efficiency" competition in a branch nomination. 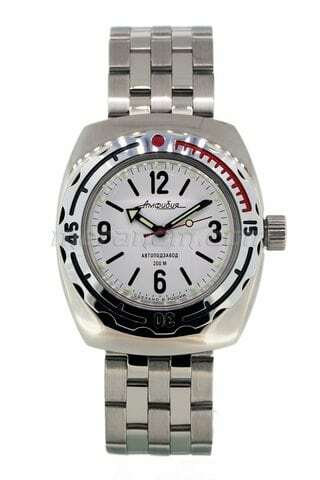 Popular watches "Komandirskie" have got modern design and more complex mechanism. The enterprise is certificated on the Russian and international quality standards of GOST Р and JQ Net. Delivery of watches and clocks in the countries of Europe is started. In September 2004 is became the presentation of the new joint venture "Vostok-Europe" created with Lithuanian enterprise "Koliz" for purchase of watches to the countries of the European Community. 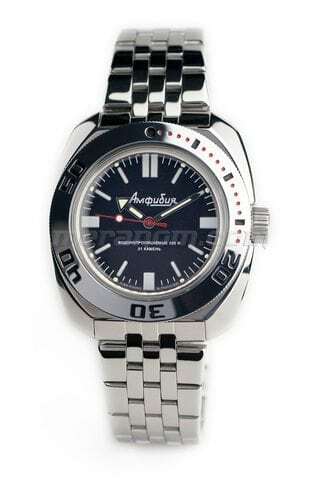 The first Amfibia watches were manufactured in 1967 in the USSR by Vostok Watch-Maker Inc. The watches that became the symbol of all Soviet 60th-70th. Professional seamen, divers and submariners gave their preference to Amfibia because of their simplicity and reliability. Organized in 1942, Vostok Watch-Maker Inc. especially to its own jubilee and to the 40th anniversary of creation the first Amfibia watches has issued a collection series of them. This Amfibia-1967 recreated under old sketches and drawings, transmits the spirit of that epoch with all its outward appearance and continues to follow horology traditions. Each watch from limited edition series in 1967 pieces has its unique number on the back cover and a signature of the master who has assembled it in the accompanying certificate.